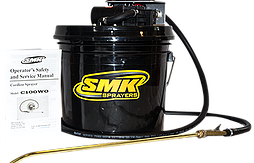 The P100AC2 (All Chemical), SMK’s full featured, premier compact bucket top sprayer, loaded with patented design features. Designed for ease of use, durability, and dependability. Ideal for low volume applications, the P100AC2 reduces product application time by 200% or more over old-fashioned hand pump sprayers. The P100AC2 is a cost-effective, highly reliable bucket top sprayer designed to be the workhorse for tough working environments. 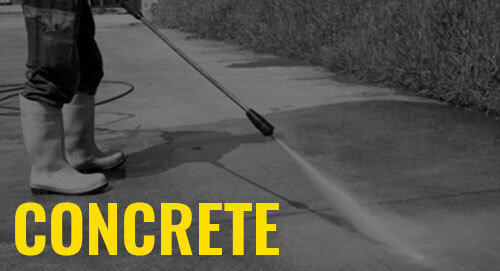 Designed for wider applications use Solvent Based, Water and Oil based Products. Locks on to the Bucket. 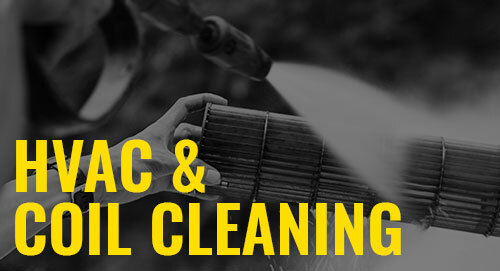 Cleans with Xylene or suggested product from the manufacturer. 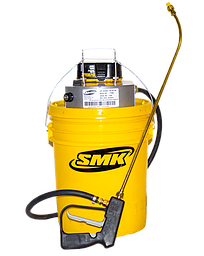 Designed with convenience, speed and durability SMK’s new P100AC2 battery powered bucket top sprayer provides a revolutionary way to apply ANY* product you need for your project. The P100AC2 model is specifically manufactured with a completely new internal and external housing components, making this model your choice in UNIVERSAL spraying! This product locks to a bucket and offers variable flow control. The P100AC2 will spray all chemicals that are 25% solids or less. If you have questions on whether this sprayer can spray your specific chemical, please contact us! The ONLY Way To Spray. Caution: If fluid is improperly matched to the pump’s elastomers, a leak or damage to the pump may occur. * MSRP may differ from distributor pricing. Please see distributor for pricing details.